Lineage: Formed in 1784 from selected details of three regiment of Native Cavalry which had formerly been in the service of the Nawab of Arcot, but had been disbanded for mutiny, as the 2nd Regiment of Madras Native Infantry. Then the 1st Regiment of Madras Native Cavalry in 1786, the 3rd Regiment in 1788 and the 3rd Regiment of Madras Light Cavalry in 1819. Then the 3rd Regiment of Madras Lancers in 1891, then the 3rd Lancers in 1901 and the 28th Light Cavalry in 1903. In 1922 the Regiment became the 7th Light Cavalry. Composition in 1914: 1 Squadron of Madras and Dekhani Musalmans, 1 of Punjabi Musalmans, 1 of Rajputana Rajputs, 1 of Jats. Location in July 1914: The 28th Light Cavalry was stationed at Quetta (Balochistan, Pakistan) having arrived from Multan (Punjab, Pakistan) on 15 November 1913. If you are researching a soldier who served in the 28th Light Cavalry during the First World War you must get hold of a copy of The 28th Light Cavalry in Persia and Russian Turkistan, 1915-1920 by Major J. A. C. Kreyer and Captain G. Uloth. This book is the key resource for the 28th Light Cavalry as there is only a single war diary covering the period between June and October 1915. All ranks detailed for the column consequently set out in good spirits for Nushki, which was to be the gateway leading to a theatre of activities which carried the regiment over an area stretching across the great Baluchistan Desert, beyond the Persian frontier, far south into such little known places as Bam and remote Jalk; then later, as the threat of a Turkish invasion of India itself from the north-west actually began to take shape, northwards up the Perso-Afghan border until, in 1918, the regiment crossed into Russian territory, and in 1919 lay opposed to the Bolsheviks in Central Asia within a few marches of the Oxus. It might be appropriate to give the reasons for sending a force through 500 miles of desert to the little-known country of Eastern Persia. Before its arrival a comparatively small number of Germans and Turks had done an incalculable amount of harm to British prestige in Persia. The Gendarmerie had been completely won over…. The Gendarmerie had seized British consulates, banks and businesses at Shiraz, Yedz and Kirman and had imprisoned the Allied community. Kirman is strategically close to the Afghan frontier and it was thought that agents would be able to move across the border and stir up unrest. To stop them a line of posts was established along 320 miles of the border between Robat and Seddeh. Between January and August 1916, the 28th Light Cavalry was involved in keeping this cordon as well as operations against the Dahmanis. In 1917, C and D squadrons returned to India moving first to Zhob and subsequently back to Quetta while A and B squadrons remained in Persia. However, in 1918 following the Russian Revolution and withdrawal of Russian troops from Persia C and D squadrons returned. In August 1918, the 28th Light Cavalry moved to Ashkabad in what was then Trans-Caspia and is now Turkmenistan. Between August 1918 and March 1919, the Regiment served in Trans-Caspia and saw action against the Bolsheviks before returning to Persia. On the 7 April 1919, the 28th Light Cavalry arrived at Meshed where the Regiment remained during the Third Anglo-Afghan War which broke out in May 1919. The 28th Light Cavalry received orders to return to India in November 1919 after 4 years service in Persia and Trans-Caspia. The 28th Light Cavalry began to move to Lucknow shortly afterward with the last squadron arriving in February 1920. In 1922, the 28th Light Cavalry became the 7th Light Cavalry (it was not amalgamated with another regiment). There is only one war diary for the 28th Light Cavalry which hasn’t been digitized and can only be viewed at the National Archives. Notes: A very detailed war diary which can be used to supplement the regimental history for this period. There are no appendices. A good source of information concerning the 28th Light Cavalry and the British officers who served with it are its confidential reports held at the British Library: Confidential Reports on Regiments etc. However, when the Regiment was abroad only its Depot and the British officers serving there were reported on. For information regarding the British and Indian officers who served with the 28th Light Cavalry, the Indian Army List can be consulted. Regimental History: The 28th Light Cavalry in Persia and Russian Turkistan, 1915-1920 by Major J. A. C. Kreyer and Captain G. Uloth. An excellent book covering the 28th Light Cavalry’s service during the First World War. If only every regiment had produced such a book. Unfortunately, this book has not been reprinted and can be difficult to obtain. 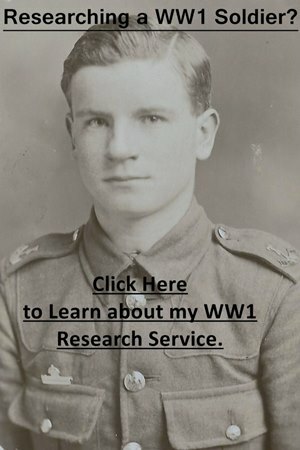 I offer a research service for soldiers who served in the First World War. To find out more click on the photograph below. 1 June 1915 – Khwash – Detachment of Regiment at Khwash on Fort construction. Rations for horses cut down to 5 lbs grain owing to no supply of grain. Fodder 60 lbs of grass, no bhoosa [broken straw and husks from threshing] ration permitted. 28 July 1915 – Mushki Chah – The column marched from Kundi at 5 pm and arrived here at 2 am. One riding camel died at Kundi an another was left behind owing to sickness.